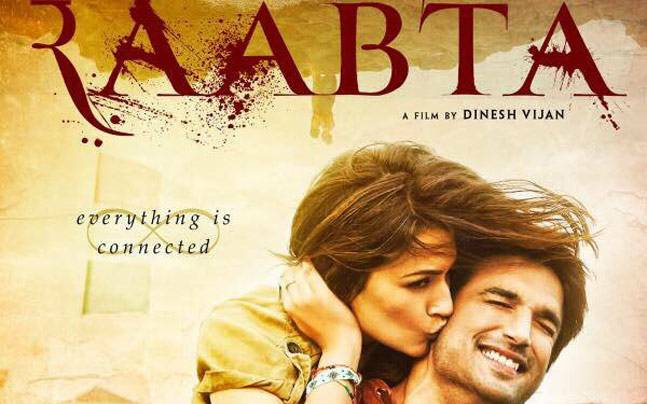 Sushant Singh Rajput and Kriti Sanon starrer upcoming film Raabta was cleared of the plagiarism charges by a Hyderabad civil court on Thursday after the makers of Magadheera withdrew their case. The film was given a clean chit and is scheduled to release on its original date June 09. Allu Arvind, producer of the blockbuster hit Magadheera, had charged the Raabta makers of copying his film days before its release. In fact, the day film’s trailer released; even twitterati couldn’t fail to notice immense similarities between the two films. Dinesh Vijan, Raabta’s director, just last week itself gave his statement to the PTI: "Reincarnation as a genre is very popular. There have been films likeKaran Arjun, Madhumati, Om Shanti Om and Magadheera. This genre has been done couple of times and now I have come into this space. I am a huge fan of S S Rajamouli and his films likeBaahubali and I would never copy him. There is a similarity in the genre. I am confident that not even one scene is copied from their film." Magadheera, directed by S. S. Rajamouli, was a 2009 super duper hit film down south and even its Hindi version had done decently well at the ticket counters. Both Magadheera and Raabta are based on the themes of after-life and avenging some tragedy after reincarnation. It is coincidental that both the films also star famous South Indian actor Ram Charan Teja.